“To solve these challenges we simply had to upgrade technology, shorten setup times, decrease waste, and ease operations for our printers. We have done all this with the new FA,” says Cees Schouten, Operations Director at Geostick Group. “In our Geostick Labels & Tags division we also produce labels for Healthcare, where perfect print quality and very accurate registering is a must, which the FA also enables,” Cees Schouten adds. Geostick did their due diligence and considered other press manufacturers for the job, but in the end, Nilpeter offered the best solution at the right cost. 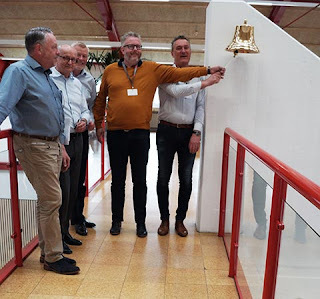 “We have a long history with Nilpeter, and currently have four FA-4 presses in Uithoorn, and one at our plant in The Hague. We are very satisfied with the quality, service, and efficiency of that press, so it was natural to go with the new FA for this project. We considered other press manufacturers, but Nilpeter gives us the perfect solution at the right price, and with this investment we can secure our customers the best quality at competitive pricing,” says Cees Schouten. With the new FA, Geostick will upgrade and improve their production of self-adhesive labels and flexible packaging. “First off, the new FA gives us more standardization in the Geostick Group as a whole, allowing us to become more flexible. We will also have the possibility to serve our Tag clients with more opportunities in multiple colours. 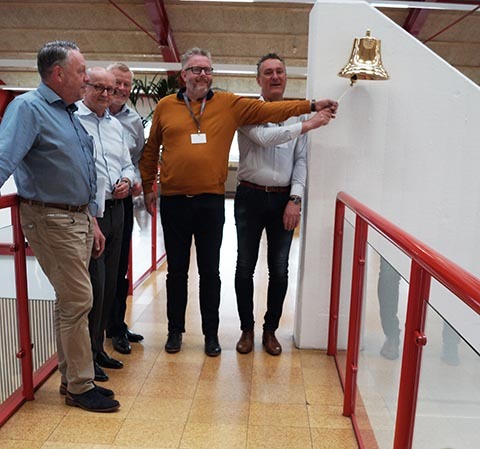 We are sure that with this new FA, Geostick Group is ready for the future and has taken a big step for further growth,” Cees Schouten concludes. With this investment we now have the same printing technology in all 3 of our production plants. The production plant in Heumen, where Jan Pieter Brandwijk is the Plant Director, now has the newest technology, as well.